A red lip is not just a red lip. It can be matte, a little ombré, glossy, popsicle-stained, or barely-there sheer. It depends on your personal style and on the current trends—both of which can be influenced by the city you live in. As curious beauty girls, we're interested in how an L.A. makeup artist interprets the latest trend: a pinker red with a more organic feel. After all, the "smack it on, blend it out, and go" approach makes sense for the relaxed California vibe. So we turned to Angeleno beauty expert Nikki DeRoest of Hello to Beauty and asked her to show us how SoCal girls will be wearing the look this season. Scroll through to see her tutorial. First comes an almost-naked hint of color on the eyes—nothing too done in order to maintain that patented California cool and allow the lip be the focus. "I used a large fluffy brush to deposit MAC's Eye Shadow in Vapour ($16) from lash line to eyebrows," DeRoest says. Then she gets to the most critical element of a high-impact lip look: brows. DeRoest likes doing a stronger brow and clean eye with red lips. 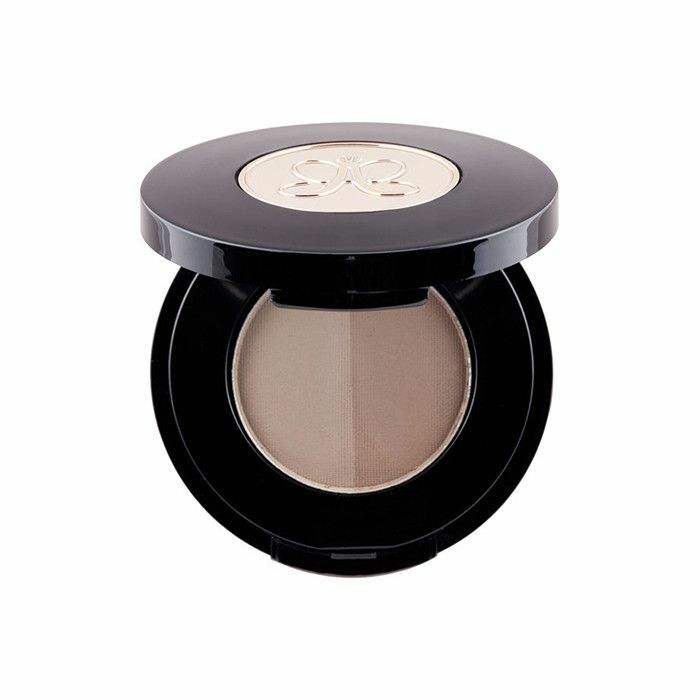 She uses Anastasia's Duo Brow Powder ($23) with a firm, thin angled brush. 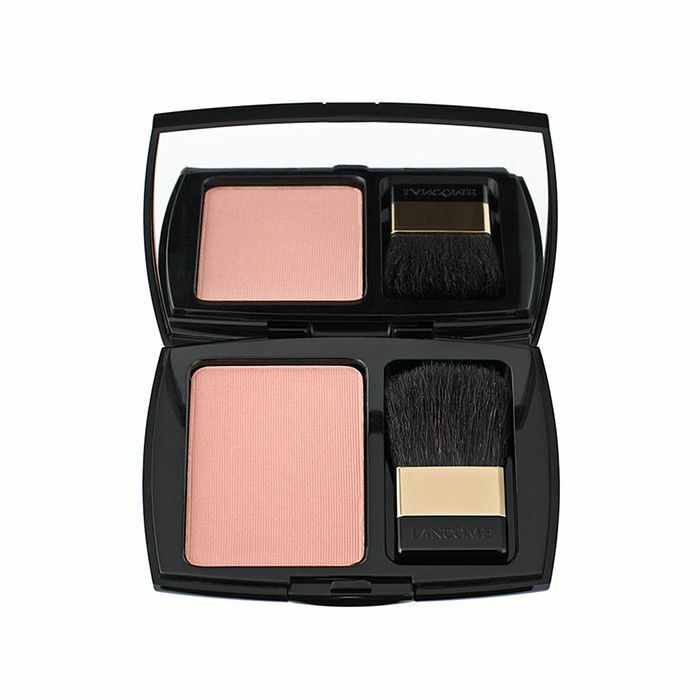 "This product is the perfect tone because it's on the ashier side, so it doesn't look artificial," she says. "And I love that you have two color options depending on what area of the brow you are working on. I typically use the lighter color for the front to middle part of my brow and the darker shade for the middle to tail." 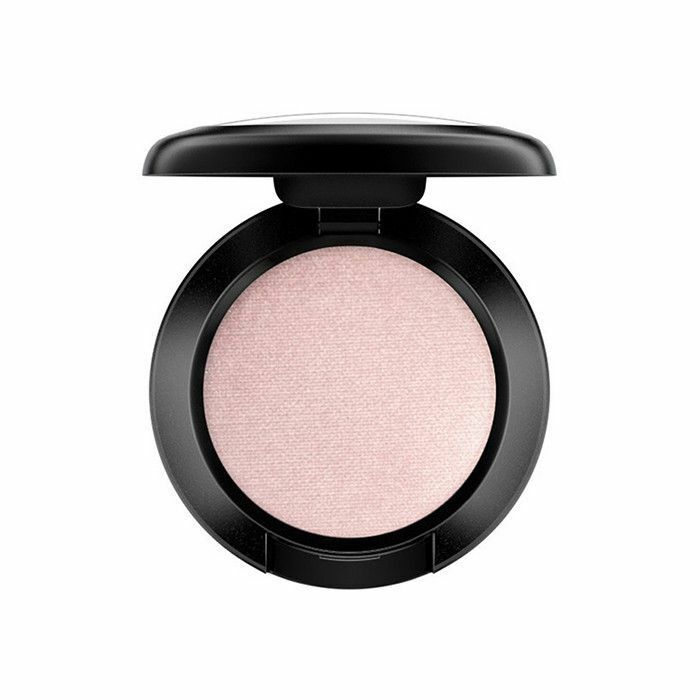 Of course, like any true West Coast girl, DeRoest's complexion has to glow. Here, she used an illuminating foundation, a light concealer under the eyes, and topped off the cheeks with Lancôme’s Blush Subtil in Cedar Rose ($32), applied with a fan brush. For that red (but not too red) lip, layer. 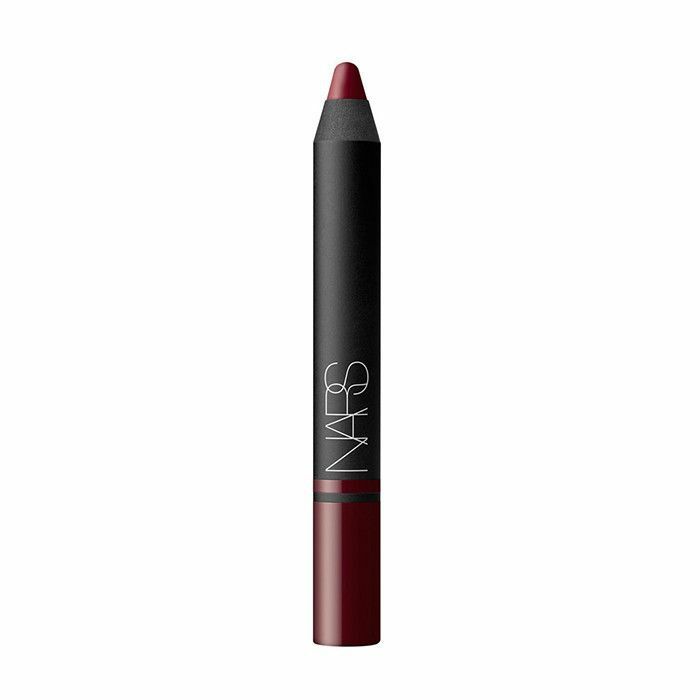 DeRoest started with a deep wine shade (think the color of a nice sangria). "I applied Nars Satin Lip Pencil in Palais Royal ($27) directly to my lips starting in the center, and then blended and blurred it out with my finger," she says. 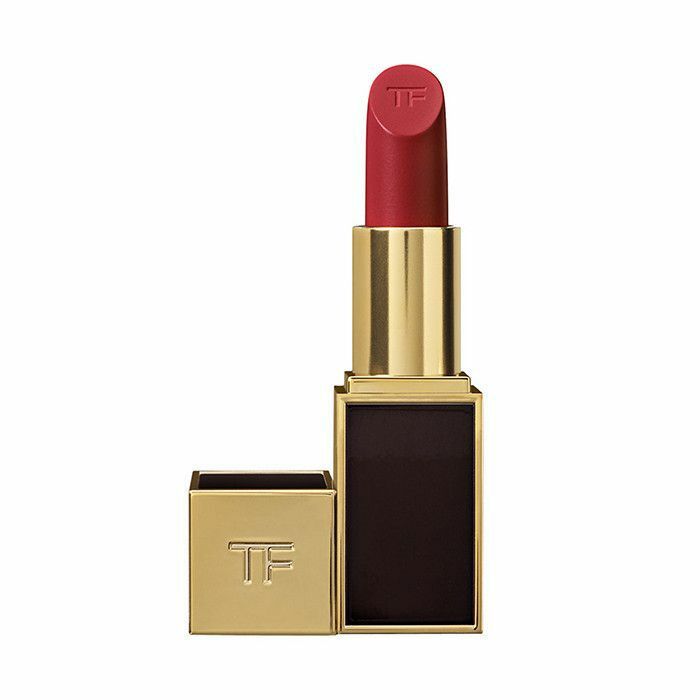 Next, she layered on Tom Ford Lip Color in Cherry Lush ($53) using the same technique, softening the edges with her finger. DeRoest has always been an advocate of using fingers to apply lipstick. "It's okay to initially get the product on your lips using the tube, but I always blend it out with my fingers," she says. "It's the perfect 'cheat' to go slightly out of the lines, which will make your lips appear fuller. Also, by pressing the product into your lips with your finger, it will stain the lips and make the lipstick last a lot longer." In L.A., the skin is luminous, the brows are defined, and the red lips have a bit of a berry—or, rather, sangria—twist. What's your favorite way to wear red lips? Click here to see a New Yorker's take on the trend.